NESTOR (3) was built in 1913 by Workman Clark & Co. at Belfast with a tonnage of 14501grt, a length of 563ft 2in, a beam of 68ft 4in and a service speed of 13.5 knots. Costing Â£248,250 and designed by Henry B Wortley she was launched on 7th December 1912 and commenced her maiden voyage for the Ocean Steam Ship Co. on 19th May 1913. With a general cargo she sailed from Liverpool to Brisbane with calls at Cape Town, Adelaide, Melbourne and Sydney. She arrived back on 19th September after a round trip which lasted four months. In 1949 the same voyage took 5 months 20 days due to inferior coal and labour disputes mainly in Australia. 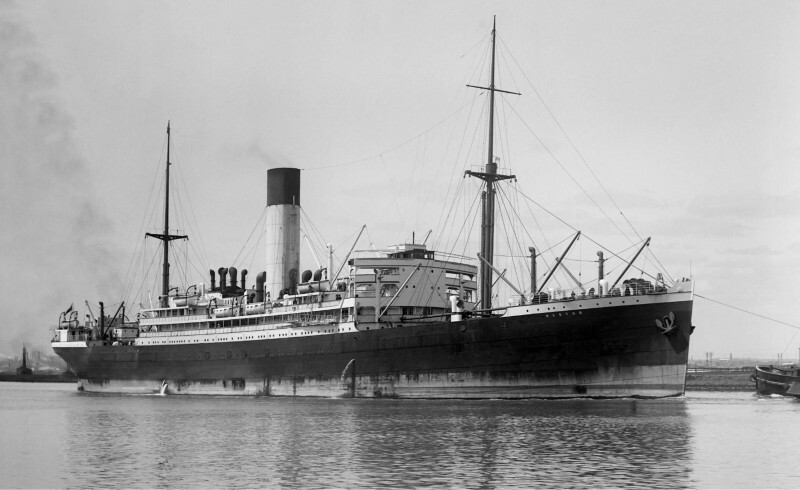 From September 1915 until 1918 she operated as an Australian Expedition Force Transport ferrying troops and resumed commercial service on 22nd April 1920. In 1936 she managed to get a tow line aboard the Australian United's Mungana, which was drifting towards the rocks off Cape Jaffa, with her last rocket. She them towed the disabled ship 170 miles to Adelaide. Her passenger accommodation was reduced from 350 to 250 in 1940 and in the same year she was requisitioned for government service. She continued to operate on the Liverpool - Brisbane route and on the first sailings carried children who being evacuated to Australia. She commenced her final voyage to Australia on 23rd December 1949 and on 8th August 1950 arrived at Faslane where she was broken up by Metal Industries Ltd. During her career she competed 68 round voyages, steamed 2,111,607 miles and was commanded by T. Bartlett, R. D. (Daddy) Owen, G. K. Houghton, W. Christie, F. Adcock, J. J. Power, J. H. Blythe and E. W. Powell. One of those classic Woodbine blue funnel ships. That's one proud funnel there! the classic blue funnel look was a bit severe, but a nice post! mrdot. This photo has been shown 2,107 times since it was added to the site.